Set Alu make up chair complete with headrest and suitable trolley waterproof travel bag. The chair is light and easy to open and close, very durable. Sitting and back in strong openworked PVC, easy to clean. Foldable and transportable with its travel bag. Explore the component details for this product set: take a look at the product sheets for the single products. Save money, protect your new makeup chair from shocks and humidity, have your customers happy and comfortable. 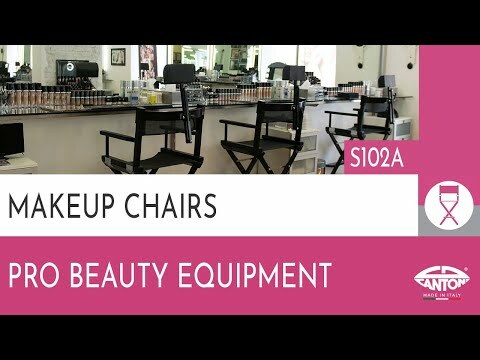 This makeup chair set allow relaxing makeup session for customer and makeup artist both.